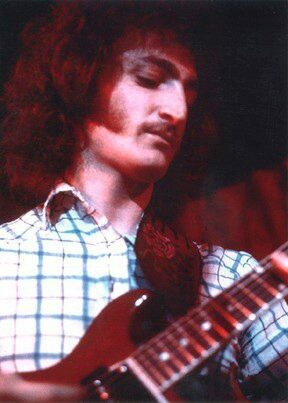 In 1967, Rocco Macri began playing the guitar for various rock bands in Edmonton, Alberta. 1967-1968: The Night Walkers with Bob Ego (drums), Bruce Dagenhart (bass), Ken Boychuk (keys), Des Rolheiser (guitar) and Charles Waters (vocals). 2005- present: Celtic Fusion illusion at 10 piece fusion rock band known to play in festivals and venues such as Festival Place and The Winspear. CFI (Celtic Fusion Illusion) is an Edmonton based "Celtic Rock" fusion band utilising bagpipes and rock instruments to create a unique and original blend. A great memory for Rocco is "Playing to a full house at an Oiler's Home Opener." 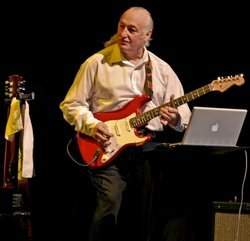 Thomas Alexander aka Bob Alexander began his career playing with The Patchwork Quilt in 1968 to being in Edmonton's first Funk band The Key, rocking with Southbound Freeway, and more recently his solo works. Thomas talked about what it was like playing in Edmonton in the 1970's and 1980's and his favorite live gig and the musicians he worked with when he CO-HOSTED CJSR'S THE SHOEBOX AS PART OF LEGENDS OF THE EDMONTON MUSIC SCENE SERIES! Thomas Alexander was born in Winnipeg, Manitoba in a taxi cab outside the St. Boniface Hospital. He was suppose to be named Robert Thomas Alexander. However his birth certificate only had Thomas Alexander. He used his first name Robert (Bob) during his career. In 1955, at the age of six, he moved with his parents to Edmonton. Thomas was inspired by such musical legends as Jimi Hendrix, Stevie Wonder, Aretha Franklin, Billy Eckstine, and Ella Fitzgerald. 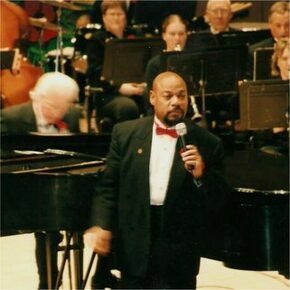 His father, a music lover, named Thomas’s brother after Duke Ellington. With music in his blood, Thomas started singing with the band The Patchwork Quilt at the age of 19 in 1968. The Patchwork Quilt eventually became The Key. The Key, with its brass section, rivalled the popular Brass Drops band in which LeVero Carter played and also the popular horn band Privledge. The Key was the first funk group in Edmonton and played all over Alberta, drawing from a repertoire that included the music of other funk groups like Sly and the Family Stone, The Buddy Miles Express, Cold Blood, and Tower of Power. Unfortunately, the size of the band made travelling difficult, and the group eventually fell into financial difficulties and broke up. Several of The Key’s band members joined the rock band The Southbound Freeway and Thomas would also join the band when he replaced the prior lead singer. The group toured Canada and the United States. They eventually recorded an album in San Francisco and, in 1973, released the single 'Right Now Good Vibrations', produced by Mavis McCauley Vaugeois and Wes Dakus. 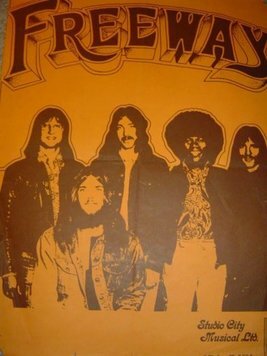 Thomas played with Southbound Freeway from 1971 to 1973 and also in 1975. 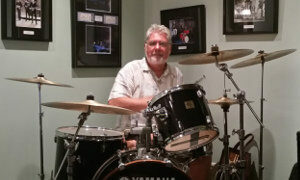 Richard Osepchuk who played in Southbound Freeway with Thomas Said that “Bob Alexander was a treat to play with”. Thomas Alexander left The Southbound Freeway to grow as a musician. He joined Red Deer's Gaetz Avenue Dance Band, which played in both Calgary and Regina. For five and a half years. Thomas stopped playing with bands and, instead, performed on television and radio; wrote jingles for commercials, including one for MacDonald’s; and worked on learning different styles of music. The next band he joined was Force Major from about to 1979 to 1981, based out of Seattle, Washington. Force Major played with such bands as Kool and the Gang, The Bar-Kays, The Four Tops, The Temptations, The Platters and James Brown (the autograph for Thomas read from Soul Brother Number One to Soul Brother Number Two). A show band, the members of Force Major didn't record and, instead, toured Eastern Canada and played at Club Etcetera in New York for a while. From 1981 to 1984 he played in The Blades with Dwayne Osepchuk. Thomas is a very fine songwriter and has written many songs including 'Right Now Good Vibrations' which he Co-Wrote with Dwayne Osepchuk. They also wrote 17 others songs together including songs for their group The Blades like 'Do It Right' in 1984. Thomas left the music scene and gradually got back into music, singing some jazz on television and for the Miss Edmonton Beauty Pageant and making it to the cover of TV Times. He was then invited to go to Japan, where he was known as “The Canadian Bluebird” because his tenor voice was thought to be as beautiful as a song bird’s. In Japan, Thomas became part of a Las Vegas-style rhythm and blues show. He released seven CDs there, all under his pen name, Rejie. Also, it was while in Japan that Thomas's wife Paulette gave birth to their son Asia. Thomas has also sung in Mo' Magic a Motown Tribute with Irene Cara of Flashdance and Fame, Florence Larue - lead vocalist of the 5th Dimension and with Freda Payne of the song "Band of Gold" fame. He also starred .in the world premiere of Music of the Millennium, which featured the music of Burt Bacharach and Hal David. One of his all time favorite musical events was when he played Judas in Jesus Christ Superstar at the Mayfield Dinner Theater , Liz Nicols of The Edmonton Journal said of Thomas Alexander's role "Makes Judas Soul Man #1 in an exciting performance". Thomas Alexander continues to perform his music in Edmonton, but he has increasingly turned to playing and writing religious music. In 2005, he sang George Blondheim’s anthem for Alberta, Alberta Strong and Free, during the centennial celebrations on 1 September. 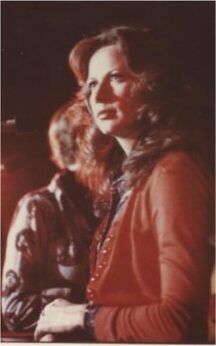 In January 2005, at the request of her family, he sang at the memorial service for Lois Hole. Thomas also sang at the Memorial service for Dwayne Osepchuk where he sang with passion for his Soul Bandmate! Thomas Alexander also sang on the DVD Called Wild Rose Country which was about the Diverse Culture in Alberta. His family's roots go back to the first Black pioneers that settled in Alberta and because of that he was asked to sing the song" Blue Alberta Blue" which was written by a descendant of the first Black Pioneers. It should be noted that Thomas also has worked with the Legend of The Edmonton Music Scene Tommy Banks. Thomas Alexander is continuing his career with new material in 2015. He has an amazing musical range singing Jazz , R&B , Country , Pop , Dance , Reggae and Gospel. 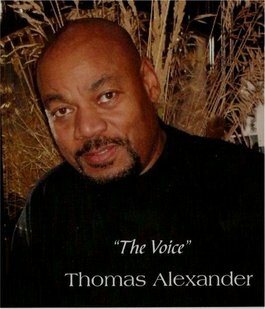 Thomas Alexander AKA Thomas Alexander is also known as "The Voice" which is a perfect moniker for Mr Alexander. THANK YOU! to PETE the ROCKER and CJSR THE SHOEBOX for permission in using this interview. Some say that Percy Marshall was born with a guitar in his hands...Marshall has been playing since the age of 9 with his first gig at age 11. He's the recipient of 2 ARIA (Alberta Recording Industry Association) awards, has played in over 20 Alberta bands and duos throughout Western Canada since the early 70's and has been a part of several local recordings since the 90's. 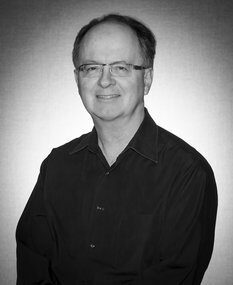 Percy Marshal has been a judge for many local 'Battle of the Bands' and is an adjudicator for 3 years running for the Edmonton, local leg, of the Memphis International Blues Competition. The bands and musicians he has played with is like a who's who of Edmonton music legends from being a member of The Classics (formerly The Nomads), Celtic Fusion Illusion, Cold Feet and the original KitKats and the last rendition of Mel Degen and The Lordz. Percy Marshall is currently a member of Barry Allen and the New Rebels and The Lynne Chwyl Band. - AnyWonder (1990- released a CD and video - some play on Much Music). - Out of the Blue (80's). - original guitarist of Rusty Reed & the SouthSide Shuffle (1986). HIS MUSIC CAREER SPANNED 57 YEARS! Alan Wesley McGee was a multi-instrumentalist specializing in the saxophone and keyboards. He was born in Saskatoon on May 1, 1946. He began piano lessons with his mother at the age of four and at six started Grade One with the Toronto Conservatory. At 12 he enrolled in the Saskatoon Lions Club band program and learned to play the saxophone, after protruding teeth proved unsuitable for the trumpet. Alan, at 15, joined his first rock and roll band in Saskatoon playing first alto sax and the switching to tenor sax which he thought had a bigger, fuller tone for rock music. 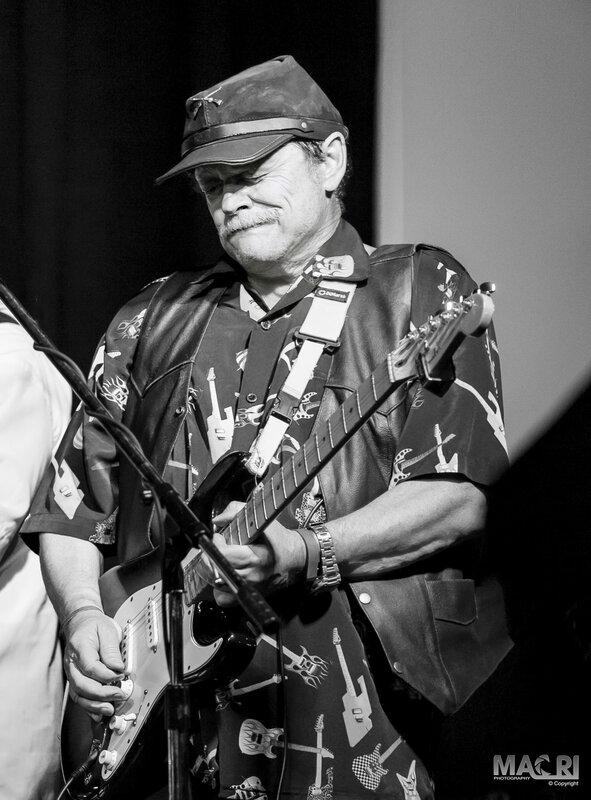 When the family moved to Calgary in 1961, Alan was invited to join a band called The Belairs. 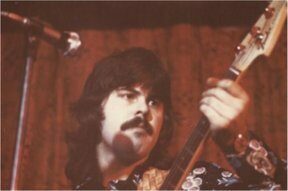 It featured Floyd Snead on drums who became part of 3 Dog Night. The guitar player/singer was Lionel Neveu who joined the A & W Lords five years later. The family moved again in 1962, this time to Edmonton. Alan answered an ad in the Edmonton Journal from a band looking for a saxophonist. He became a member of The Pharaohs, later to be James and The Bondsmen. In September 1965 the band had a recording session in Memphis, Tennessee. Not wanting to move with The Bondsmen to Toronto, Alan stayed in Edmonton and in late 1965 was invited to join The Lords. The Lords featured Andy and Harry Krawchuk, Mel Degan, Clay White, Wayne Kozak, and Lorne Peet. In 1966 they had a recording session in Los Angeles with producer Gary Paxton who had worked with the Hollywood Argyles, the Association, and Left Bank. The session produced the following tracks: “Rovin’ Heart,” “Savin’,” “Blue,” Happy Lovin’ Time,: and “The Highly Successful Young Rupert White.” Though claiming not to be a singer, Gary Paxton had Allan sing both as back-up and soloist on the recordings. In 1968 The Lords became Privilege. Stu Mitchell replaced Clay White on drums. Privilege was offered a five-year recording contract in Los Angeles but declined on the advice of their managers who felt they would be relinquishing too much control. Instead they went to Chicago and recorded a session at The RCA Studio used by The Guess Who. The resulting tracks were “Proper Stranger,” written by Randy Bachman, and “Oh I Don’t Know” on the b-side. In 1971 Alan became involved with a touring company doing “Jesus Christ Superstar.” He helped to assemble the cast of about 25 actors and musicians. He and Gerry Dere scored the orchestrations. The company played in Calgary, Edmonton, Portland, San Francisco, Detroit (Cobo Hall), and Philadelphia (Schubert Theatre) before the rights holder, Robert Stigwood, obtained an injunction to close the show. 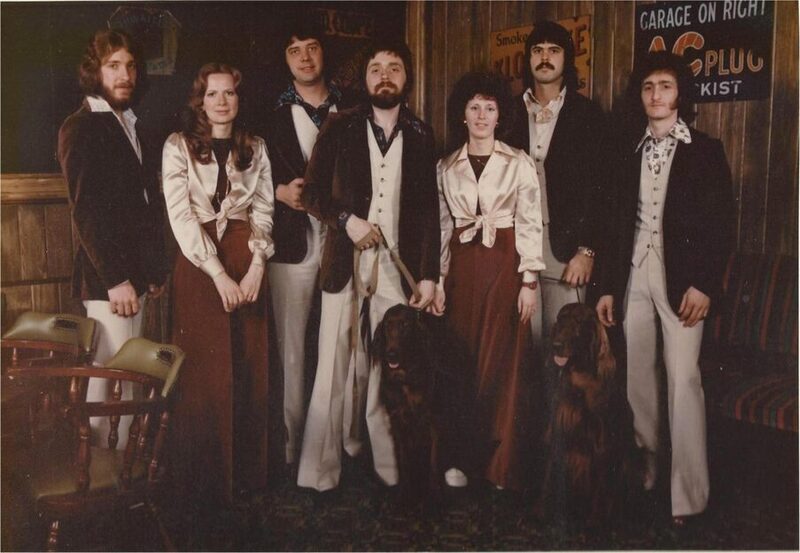 In 1973 Privilege recorded the rock musical Cantata Canada in Vancouver with producer Doug Hutton. It was recorded in the summer and released in the fall and has become a classic in Canadian rock music. In 1976 the band was part of a show produced by Maurice Fritze that toured in the Middle East entertaining Canadian troops in Cyprus, Sinai, and Golan Heights in Israel. Alan stepped back from touring in 1976 to return to University. He played gigs in cabaret bands to finance his education. Some of these bands were Band of Sound (1978), Seabreeze (1970), and the Kennedy Jensen Band. Between 1985 and 1988 Allan took a hiatus from music and played no gigs. In 1988 Alan with members of the old Privilege at the First “Annual” Band Reunion at the Kinsmen Field House. 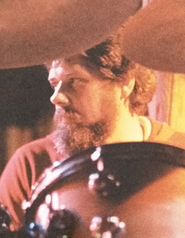 In 1989 he was invited to join a re-formed Nomads featuring Larry Guthrie (keyboards/vocals), Les Vincent (bass/vocals), Ron Danyluk (drums), Wayne Saunders (guitar/vocals), and Garry MacDonald (trumpet). They played in the Second (and last) “Annual” Band Reunion at the Kinsmen Fild House. For the next sixteen years the Nomads played at corporate functions, casinos, fundraisers, and private parties in Edmonton and throughout Northern Alberta. Highlights included playing at the new Winspear Concert Hall in Edmonton with the Edmonton Symphony Orchestra in 1997 and doing a repeat performance with the Calgary Philharmonic Orchestra in I998 at the Jack Singer Hall. Garry MacDonald left the Nomads in 2006 and took the Nomads name with him. The band replaced him with Doug Zimmerman in 2006 and Bob Tidesley from 2007 to 2914 and became The Classics. Percy Marshall (guitar), Clay White (drums), and Del Chadwick (bass). The group has played several stages in and around Edmonton from to 2015 to 2017. The same core group also performed as Persons of Interest featuring Christina McKay. Alan also was involved in 2015 with the reforming of Celtic Fusion Illusion. He had been part of the original band. Thank you to Pete the Rocker, The Shoebox on CJSR, for Al's bio.